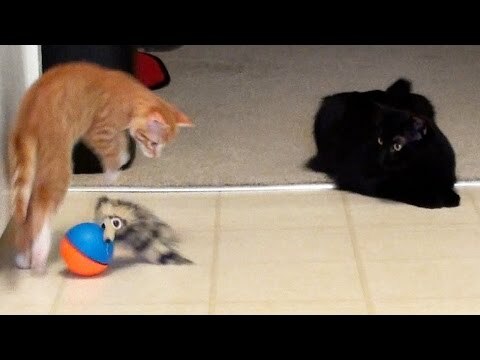 There are 2 cat videos tagged with toys. A man is shooting a promotional video but his cat decides he isn't doing a good enough job. 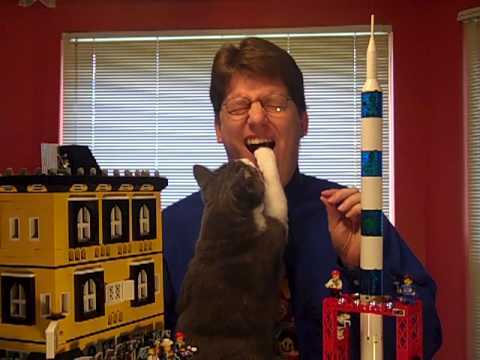 The funny cat jumps in and and puts its paw on its owner's mouth.